Council questions owner’s grounds for opposition. 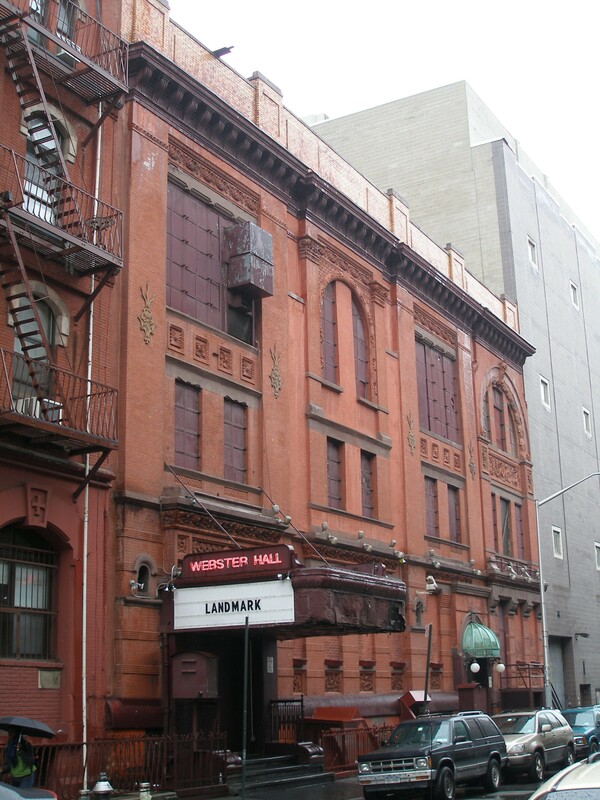 On June 12, 2008, the City Council approved the landmark designation of Webster Hall, the East 11th Street theater now operating as a rock venue and music club. Landmarks designated the Renaissance Revival-style theater in March of this year. 5 CityLand 43 (April, 15, 2008). The vote followed a hearing before the Council’s Subcommittee on Landmarks, Public Siting & Maritime Uses. The current owner, Unity Gallega/Casa Galicia, opposed designation, claiming that it would put the organization at risk of closing. The owner argued that designation would restrict the building to theater use, which greatly reduced its ability to lease the property. It also claimed to be unable to pay the increased costs to maintain the 1886-built building, calling it “run-down.” Subcommittee Chair Jessica Lappin responded that designation would have no impact on the interior – placing no restriction on its future use. Council Member Rosie Mendez, who represents the East Village and supported designation, then questioned the owner about the current occupant. The owner explained that it currently leased Webster Hall to the Ballinger Brothers, who operate the rock venue and nightclub, and that the lessee supported designation. The Subcommittee voted unanimously to designate. The Land Use Committee and the full Council followed, voting to approve. Council: Webster Hall and Annex (June 12, 2008).